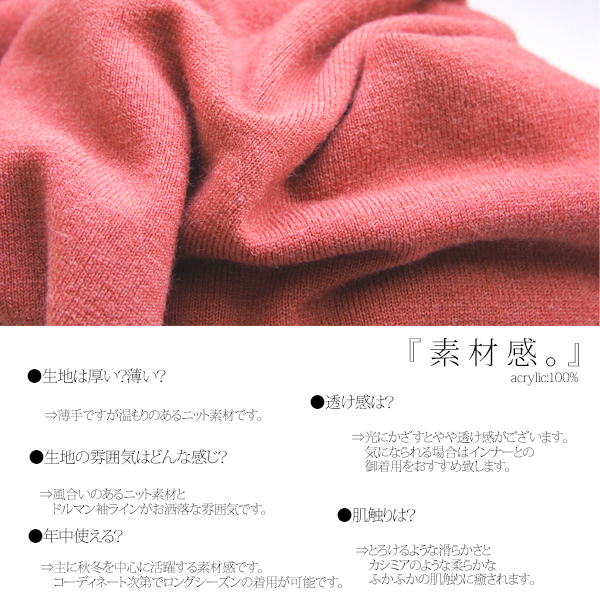 The finest feel that melts away. 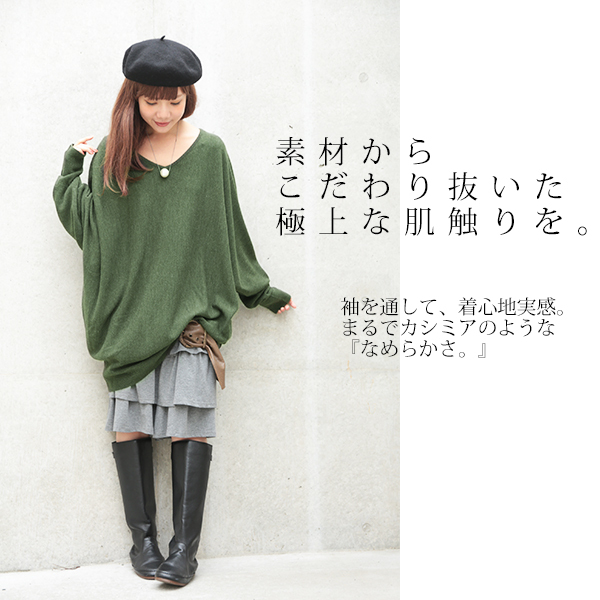 The finest feel that melts away. 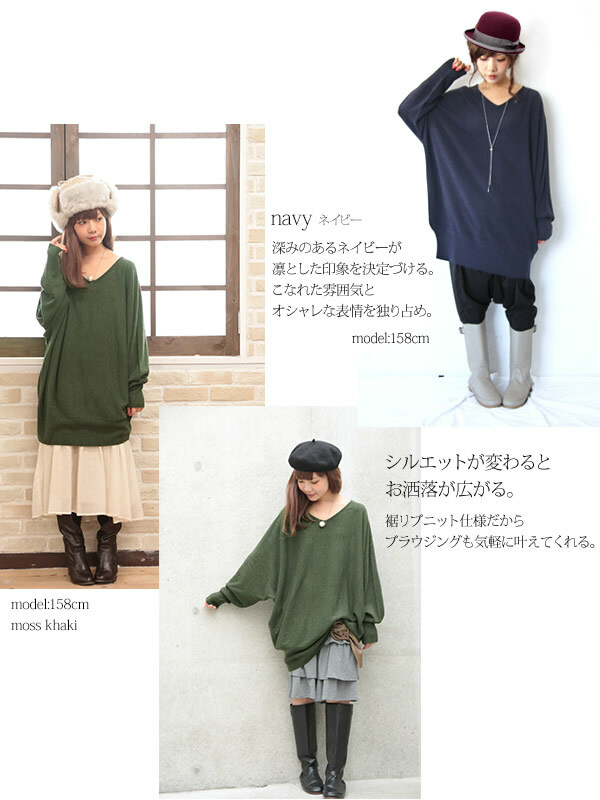 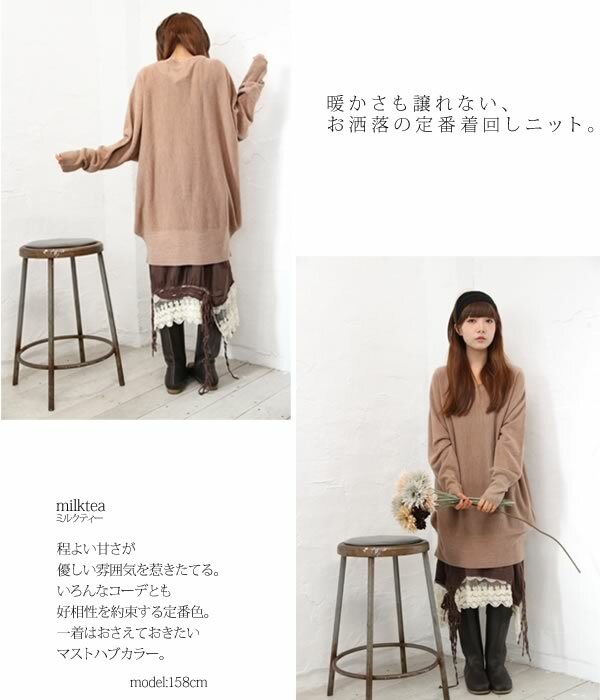 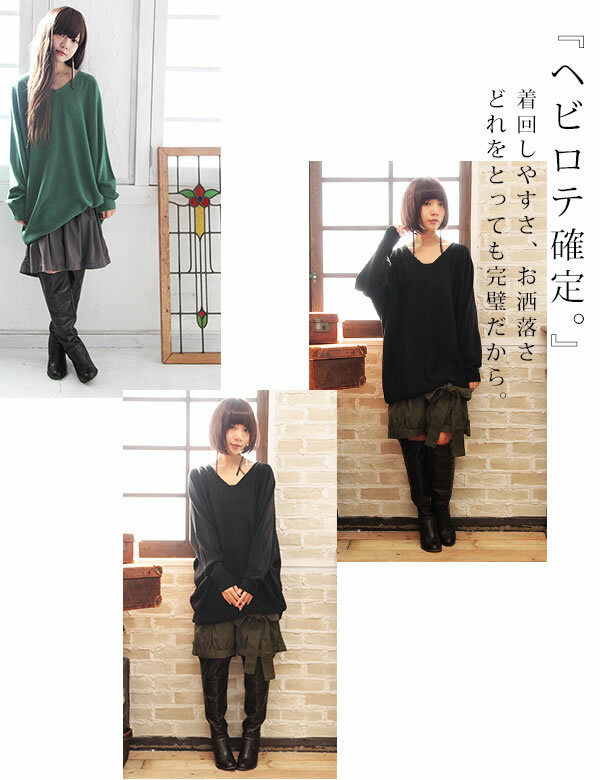 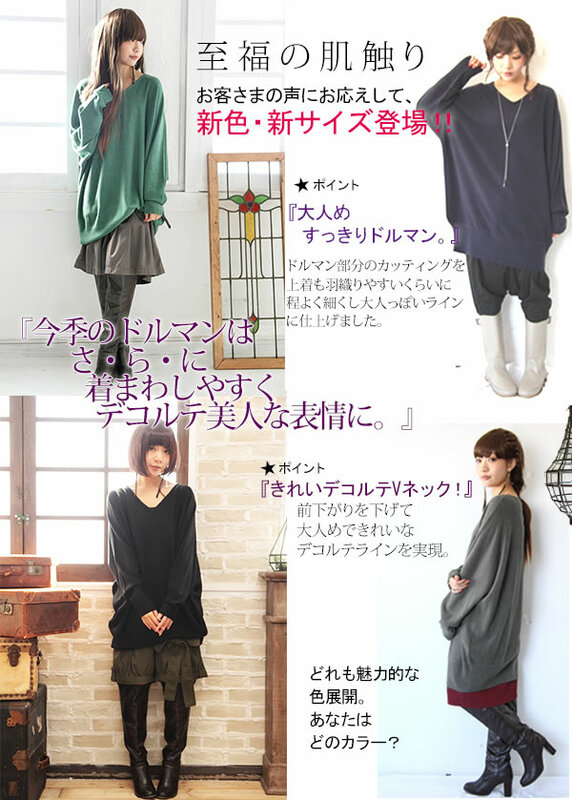 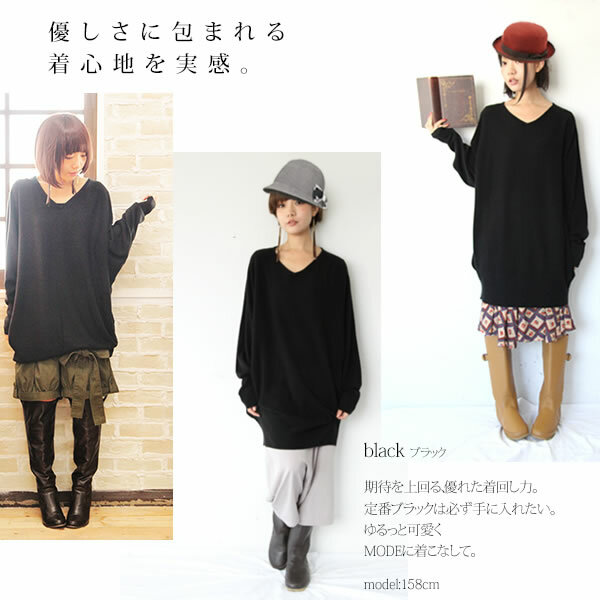 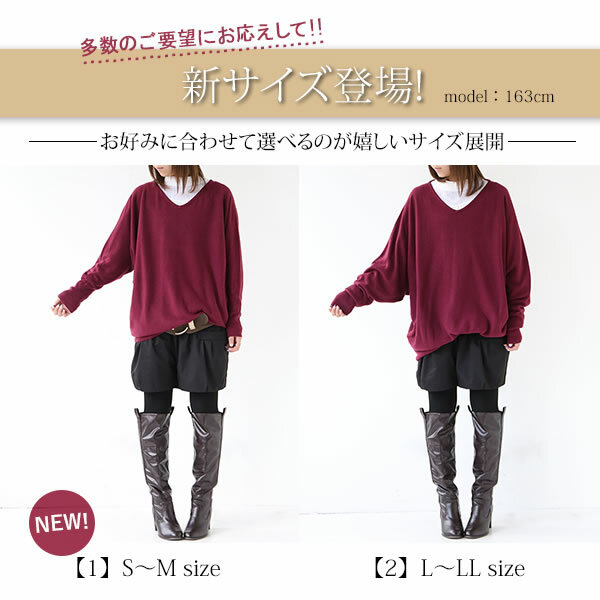 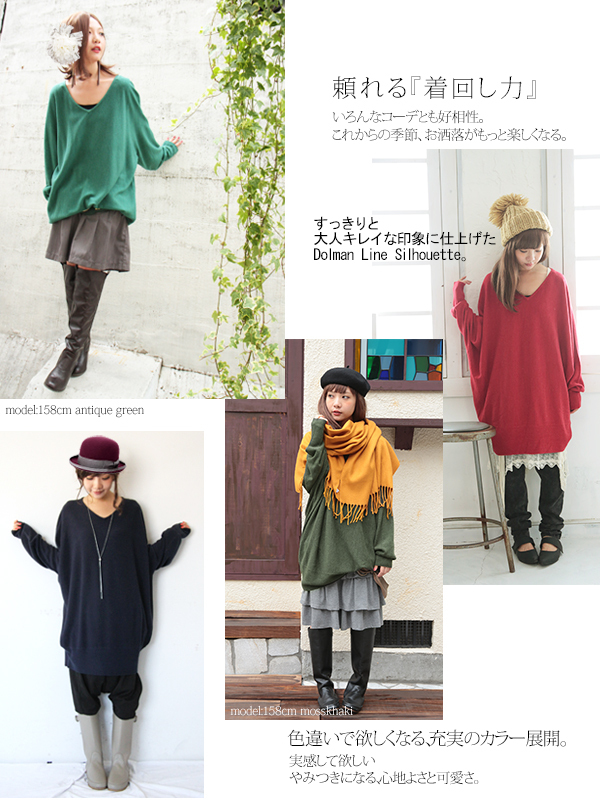 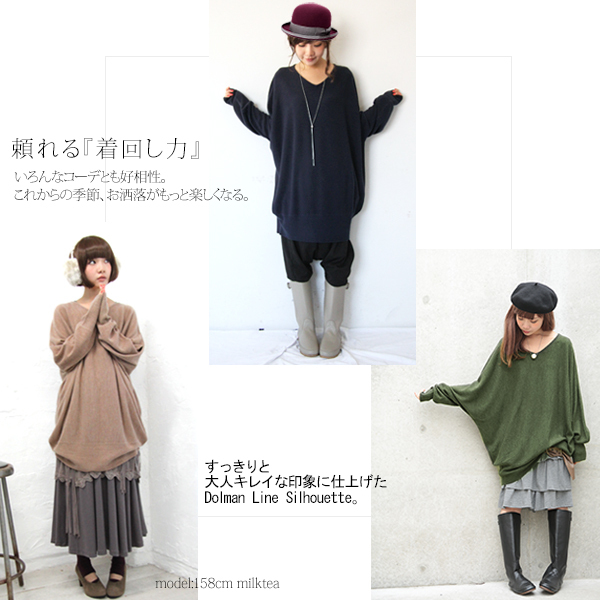 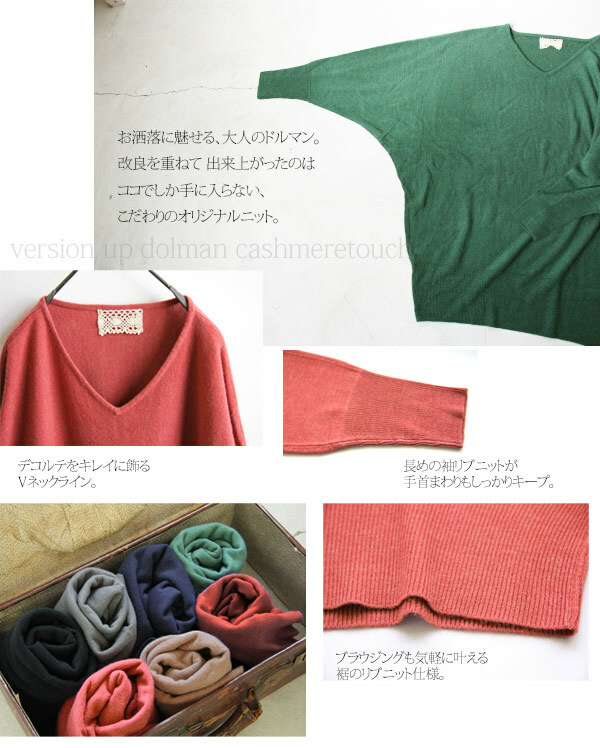 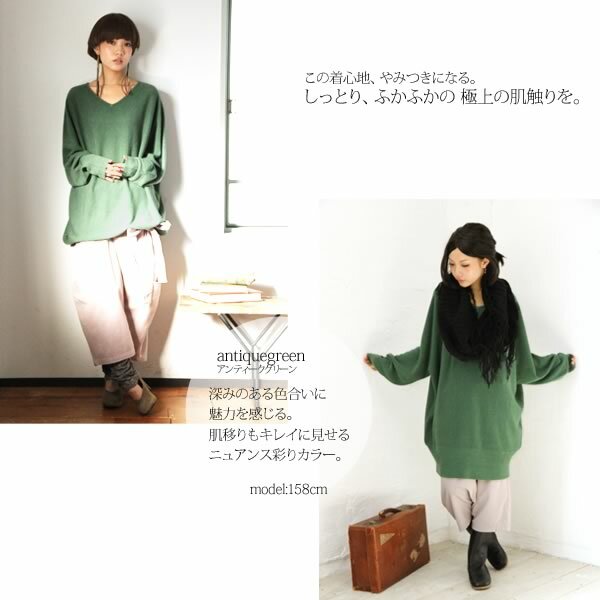 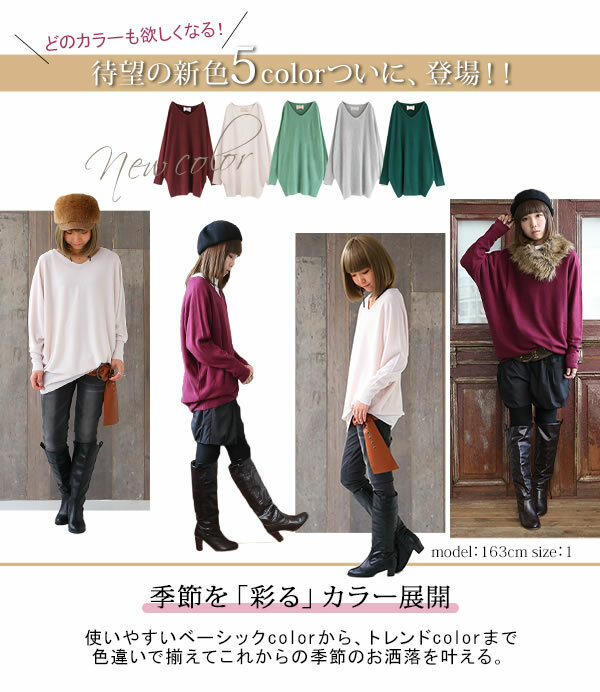 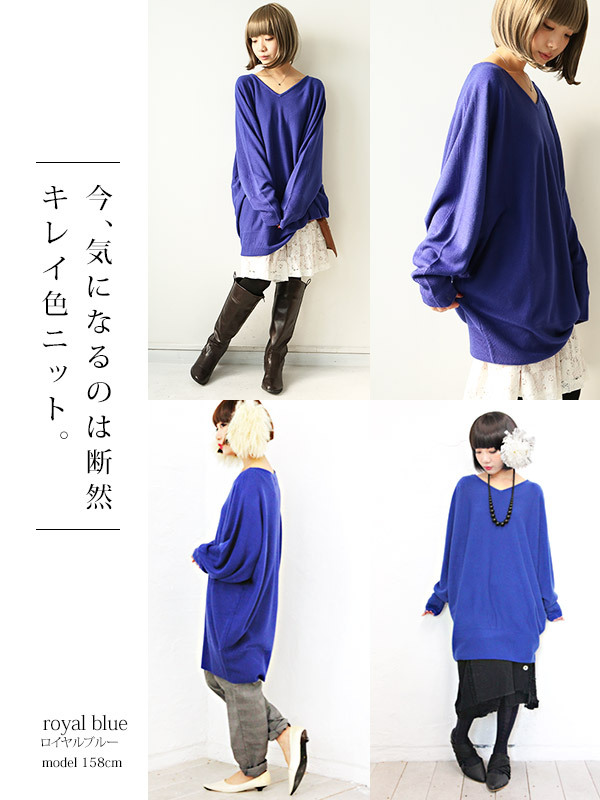 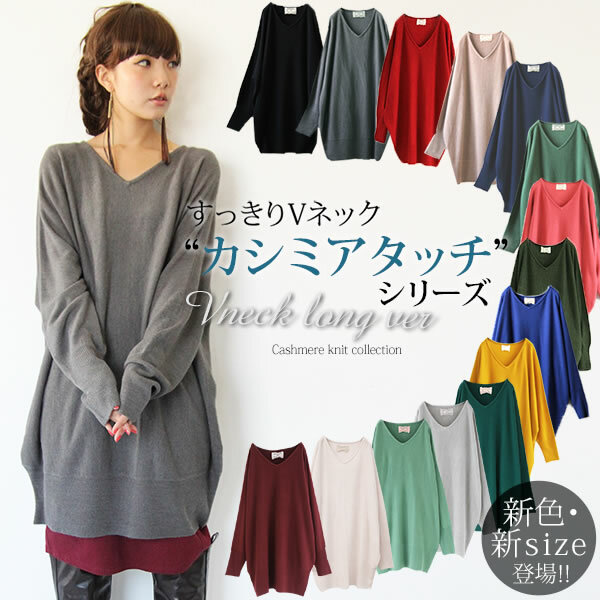 "A cashmere touch V neck dolman"
Decollete line and the adult めすっきり dolman of the V neck specifications that refined difference is impressive. 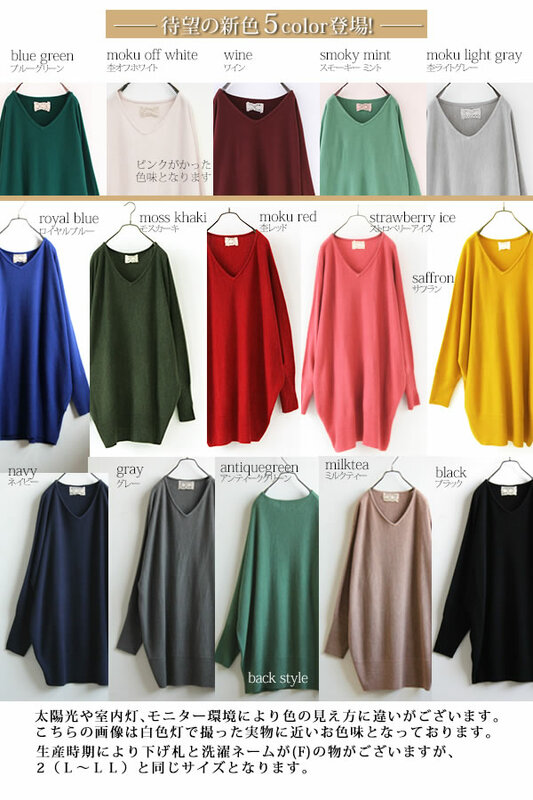 It is the cashmere touch V neck dolman knit which I want to prepare in different colors in the feel of the cashmere touch wrapped up in gentleness and seven colors of full development. 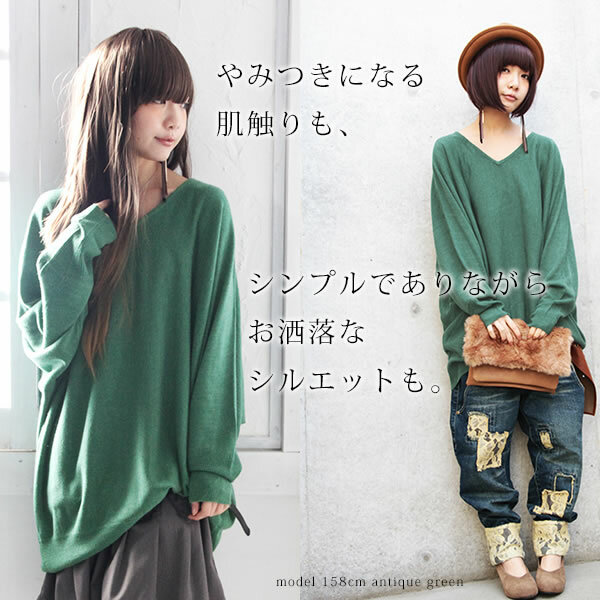 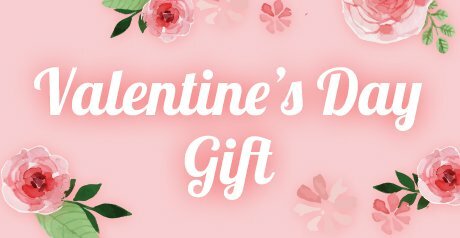 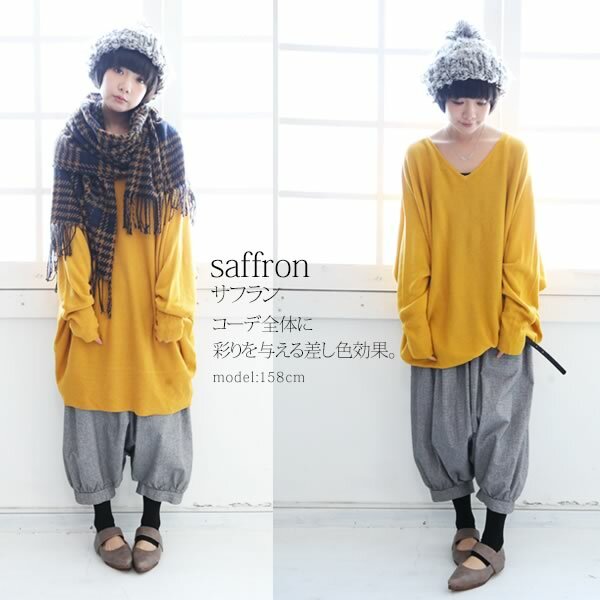 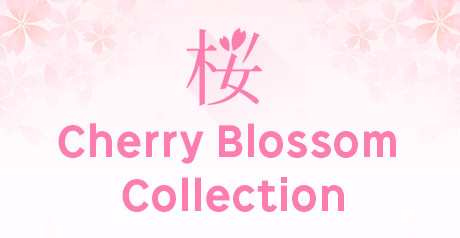 It is the lady's product which I can wear for an adjustable size sense from small-sized one to big size relaxedly.